Anyone who can solve the problems of water will be worthy of two Nobel prizes – one for peace and one for science. Water (H2O) is the most common substance on Earth, covering about 75% of the surface and existing in a solar-driven flux between the gas, liquid and solid phases. Of all the water on Earth, approximately 97% is salt water, while slightly less than 3% is fresh, or only lightly salted! And most of this fresh water is frozen at the Poles. Subtract out the fresh water that is frozen and the water that is too deep or too polluted to use and the amount of fresh water available for use by humans amounts to less than a tenth of a percent! A classroom activity from Project WET, A Drop in the Bucket, illustrates the relative scarcity of fresh water. View the “Drop in the Bucket” lesson plan online, or contact the Clark Fork Watershed Education Program to request a hard copy. Our water is a precious and limited resource indeed. 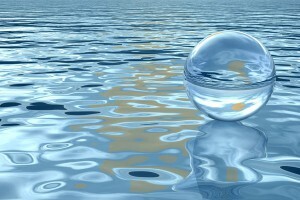 Figure 4.1: Water is the most common substance on Earth. Recently the idea of global climate change has been much in the news because of the potential threats to coastal areas from rising sea levels caused by the melting of Arctic and Antarctic ice (i.e. solid water). This continued warming could also affect many areas of the world in other harmful ways: extended droughts that impact agriculture and the availability of fresh (potable) drinking water, acidification and warming of the oceans, and the spread of insect-borne diseases as mosquitoes flourish in broader areas. These are examples of some “problems with water”, although it’s doubtful that these are the same as the ones President Kennedy considered in his speech. Water is essential for life. In looking for life on Mars, scientists first look for water, although water suitable for microbial life is rarely pure. The oceans and tide pools where early life forms lived is a complex mixture of dissolved and suspended substances. 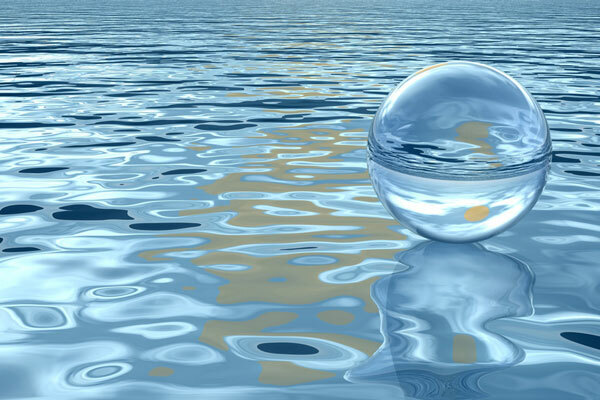 In this module we will explore the properties of pure water as well as what common substances are found dissolved and suspended in “natural” water systems. We will explore how natural or man-made compounds, in water, change water’s properties for good or ill. We will look at some simple measurements that can be used to evaluate water quality around your schools and homes as well as nearby lakes, rivers or wetlands. Through these activities and this content, the importance of clean water to all life on this planet should be clear, pun totally intended. The tools we leave you with to monitor your own water quality will increase your knowledge and understanding and your ability to serve a crucial role as a leader and a teacher in the stewardship of our most limited and essential natural resource.